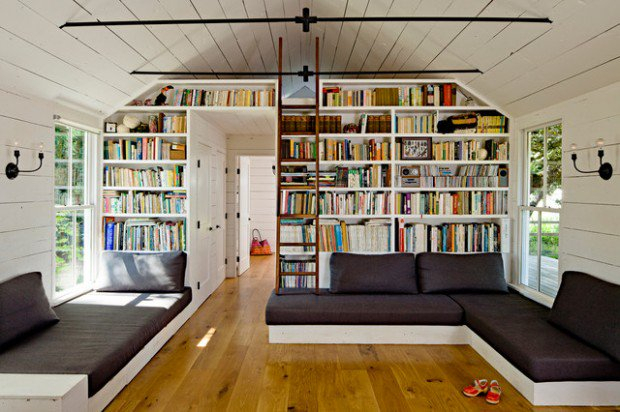 You should set up a special space to store as well as read the collection of your books. There are various designs of minimalist reading room that you can apply in your home. The following 8 samples can be used as reference. Place the bookcase on the right and left. Create a large glass window for air circulation to run well, as well as a place to throw a view when you are tired of reading. The Scandinavian reading room is perfect for you. Add a gray sofa. Stack of collection books lining the shelves will provide color variations that impressed origin, but vibrant. 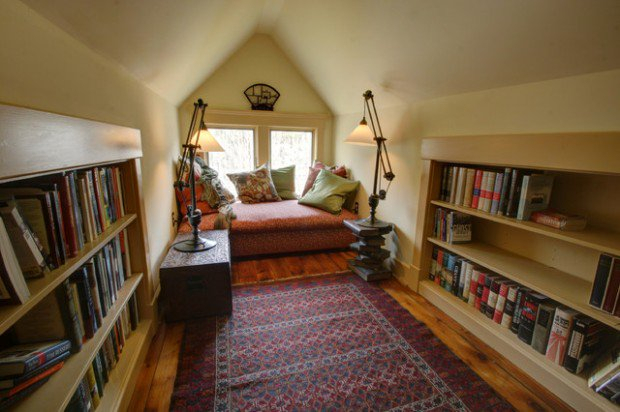 This reading place is only made by utilizing one corner at home. 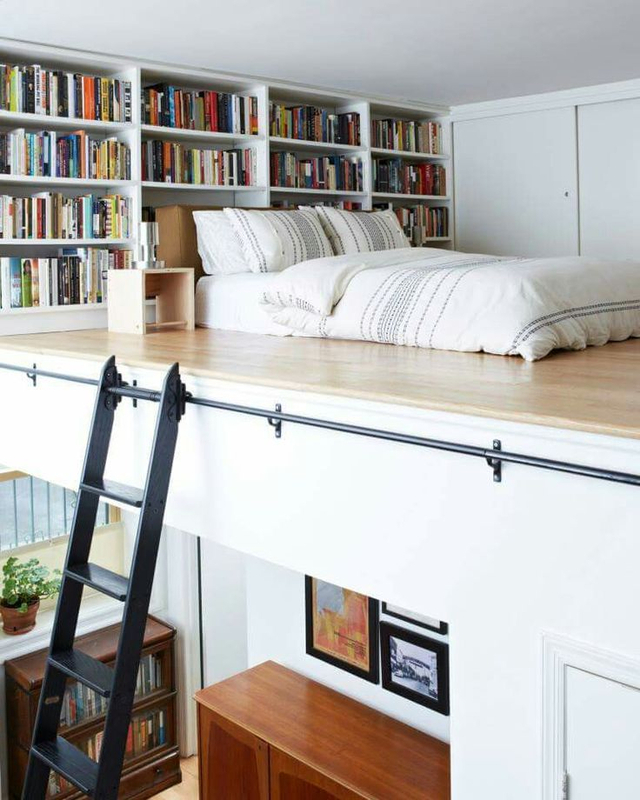 If you can not provide a separate room, there is no harm in adopting this idea as a place to read your collection of books. You can design large shelves not only for storing books but also emptying the center for foam padded. 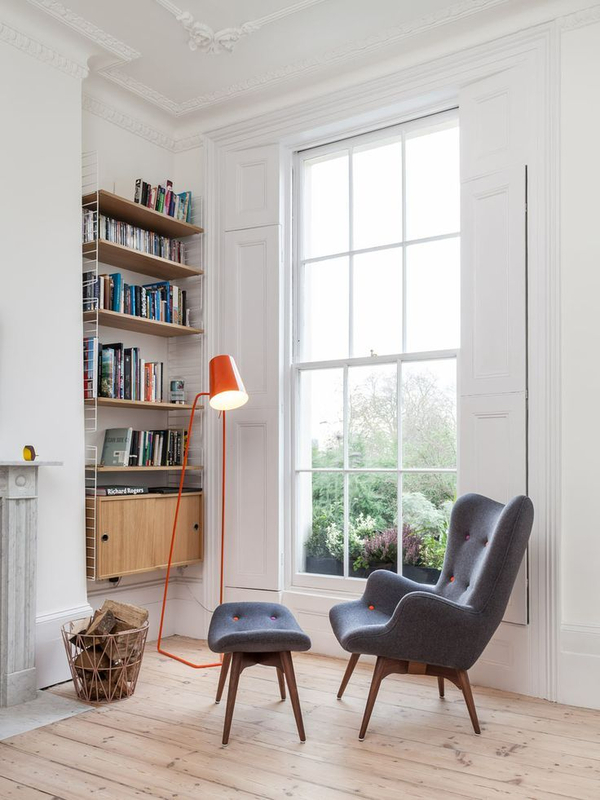 The idea of ​​reading room is also very suitable for you who do not have much space at home. The concept of this terraced bed will also save space. If the sofa always makes you fall asleep while reading, You must try to replace it with a swing or a chairlift like the design above. 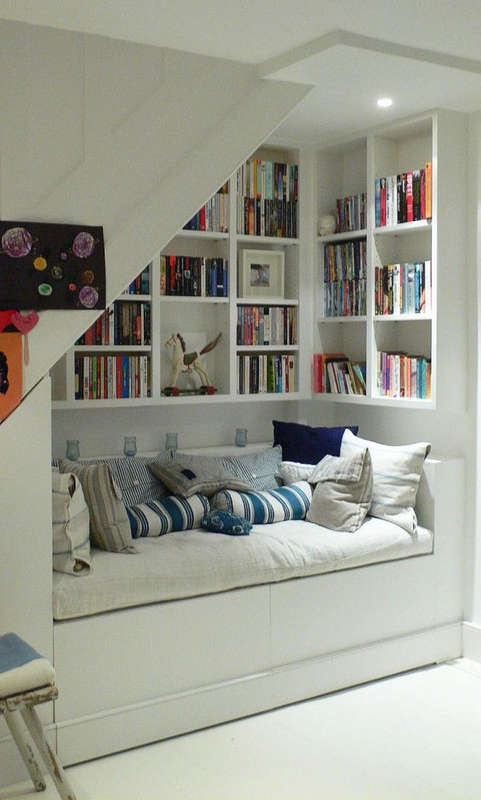 The bottom of the stairs can also be converted as a reading room. Put a comfortable couch and small shelves next to it. The bottom of this staircase will definitely be your favorite place in the house. If you like bright colors, the design of the reading room with red walls you can make reference to the atmosphere of the reading room is more colorful and alive.